It’s the end of summer and for many that means new routines and schedules. For me, it means it’s time to take into account one too many scoops of ice cream and the junk food I enjoyed while sitting on the beach. Next week, a group of friends are starting an exercise and nutrition plan. We know that together, we’re more likely to stay on track than going it on our own. 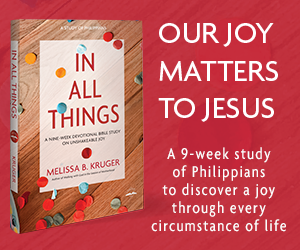 One thing is for sure, we cannot hold fast to a confession of hope that we know little about. Faith is a gift of God, but faith is a fighting grace. 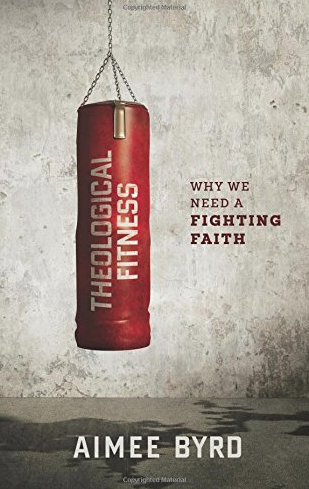 Theological fitness, then, refers to that persistent fight to exercise our faith by actively engaging in the gospel truth revealed in God’s Word. Only Jesus had the fitness for the cross, but because of him believers are given the fitness for the Christian life. Only Jesus was qualified for the work of our salvation. But he has now qualified us for holiness. But we need to ask ourselves if we even have the proper knowledge of God to draw from when our faith is challenged. This laziness isn’t just hurting ourselves. The writer chides the Hebrews from being unprofitable to others. We might not all teach a Sunday school class or a Bible study, but as we mature, we all have a responsibility to bring benefit to others with our knowledge of God. We are eager to get to the status of a mature disciple, but not so willing to go through the training and discipline to get there. Who is willing to suffer for a Savior they won’t even trouble themselves to learn about? There is no plateau in the Christian life. We are either growing closer to Christ’s likeness or we are falling away. Put simply, holding fast means that you grab tightly and don’t let go… You have to be prepared to deal with suffering. Endurance takes stamina. Stamina takes training. Faith is a fighting grace. Do not mistake it for an easy believism or a passive coast until the roll is called up yonder. Have a confession is not enough. We must hold fast to it. Ultimately we are able to hold fast to Him because He promises to be eternally holding fast to us. We pursue Him because He has first pursued us. In a world that offers many other ladders to climb and paths to follow, Byrd’s encouragement is a refreshing reminder of the one pursuit that we cannot afford to neglect. 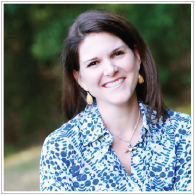 To learn more about Byrd visit her website, Housewife Theologian or pick up a copy of her new book “Theological Fitness.” Her writings will encourage you to strengthen your theological muscles in beneficial ways.